Lucky attendees at Marvel's Comic-Con panel this past weekend got to see the first footage from Avengers: Infinity War. For the rest of us, we have this epic poster, which features Earth's Mightiest Heroes surrounding the very imposing figure of Thanos. 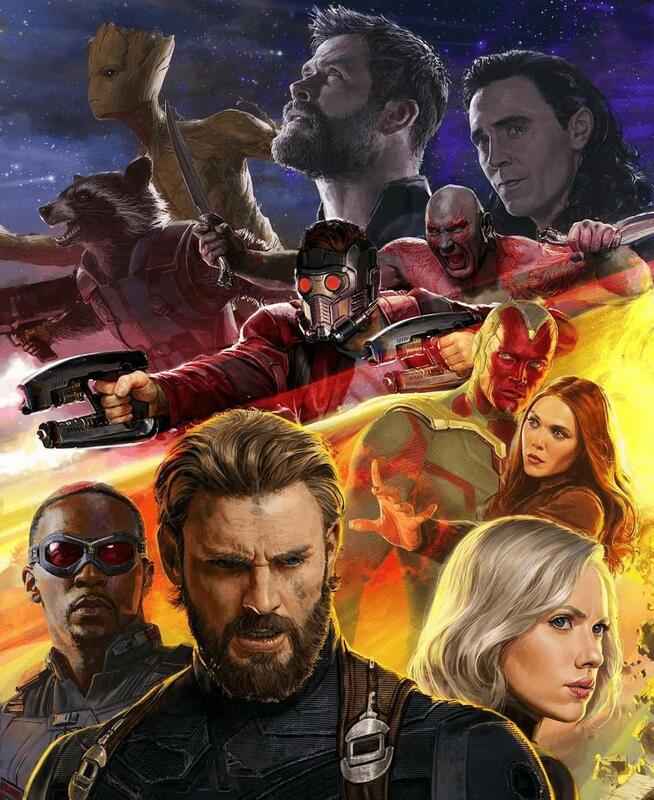 What's notable about the poster is how many details it reveals: Captain America's Beard, Black Widow's blonde hair, Spider-Man's revamped suit, and adolescent Groot. Every major character is accounted for, including Loki, who is probably up to no good despite helping Thor in the most recent trailer for Thor: Ragnarok. We even get another glimpse of the Black Order. 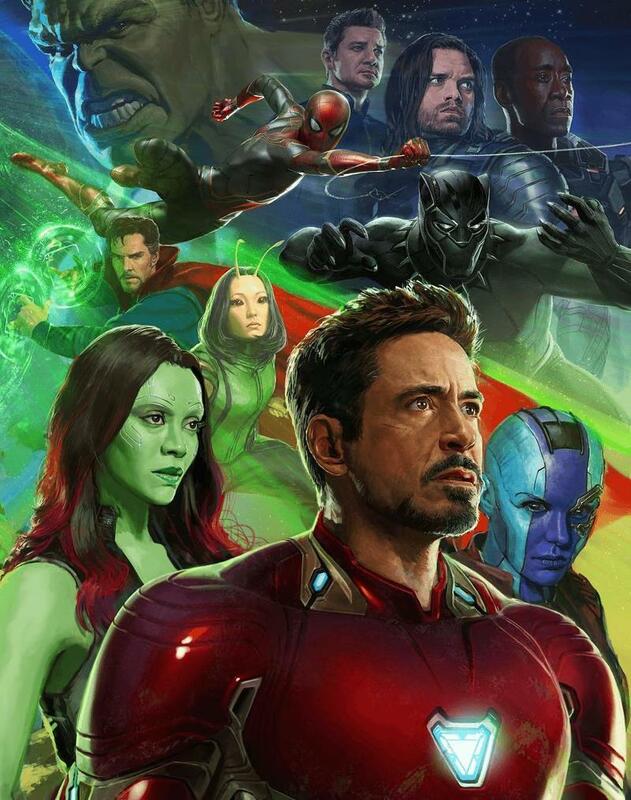 The poster was done by Ryan Meinerding, Marvel Studios Head of Visual Development, who shared the posters in three sections. Of course, it didn't take long for people to share a version of all three posters stitched together. 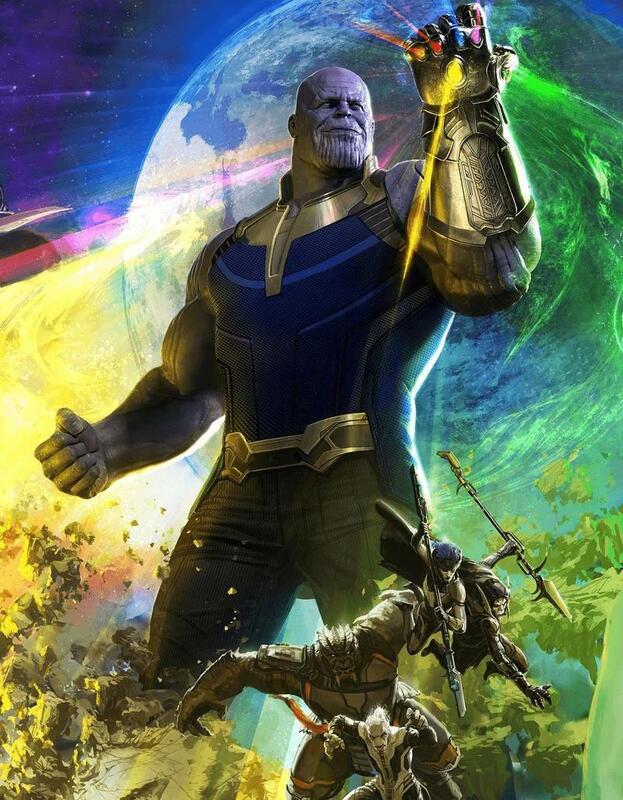 The poster shows Thanos in possession of a completed Infinity gauntlet, which is bad news. The good news is we're very close to finding out how Thanos comes into possession of all the Infinity Stones—one of which has yet to physically be seen in the Marvel Cinematic Universe. Hopefully, Marvel will share the footage for Avengers: Infinity War with the rest of the world soon. Until then, feast your eyes on the posters above.